Take a vegetarian-inspired photo. The theme is ‘veg’, so have fun and be as creative as possible! -Your latest Ocado order number. We’ll choose the winner on Friday 15th May and get in touch to arrange delivery of the prize. Even if you don’t win, you’re more than welcome to join in on the challenge: we’d love to see all your pictures. In the meantime, visit our brand new Vegetarian Shop and get some ingredients together. So, who will take up the challenge? This competition is open to all UK Residents who are aged 18 or over and are Ocado customers. 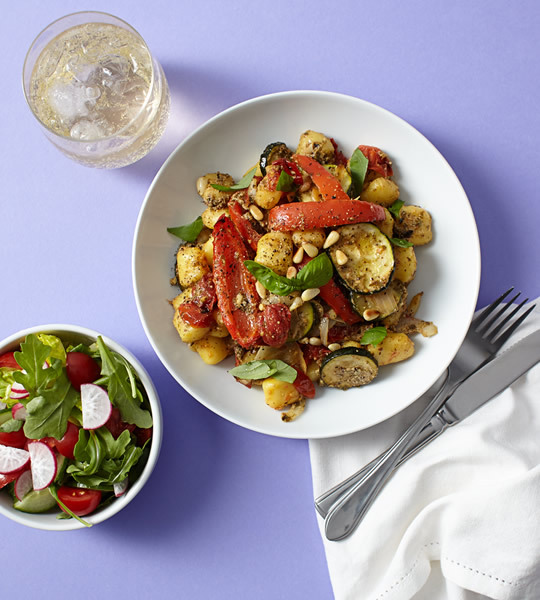 Prize Details: There is one prize of one delivery including all ingredients required to make a week’s worth of vegetarian meals (breakfast, lunch, dinner and a snack) – as planned by nutritionist Anita Bean – for one family of four during Vegetarian Week (18th–24th May). Winners are required to document the challenge and publish photos at least once per day on social media during Vegetarian Week (18th–24th May 2015). Their images may be used by Ocado for marketing purposes. The closing date and time for entries into the Ocado #VegChallenge competition is 12:00 on Friday 15th May 2015. Entries placed after this date and time will not be included in the prize draw. The winning family will be chosen by us on the afternoon of Friday 15th May 2015. The winner will be contacted on Friday 15th May by telephone and email, and a delivery will be arranged for a time convenient for the winner before Monday 18th May 2015. If the winner cannot be contacted or does not respond on Friday 15th May, or cannot take up the prize, then we reserve the right to select another winner. The promoter of this competition is Ocado Limited. This entry was posted in Talking Ocado and tagged competition, food photography, national vegetarian week, Ocado competition, vegetarian, Vegetarian Week by Ocado. Bookmark the permalink.